Looking for a place to live in the future? You probably want to avoid big cities like New York, San Francisco, Lisbon, Tokyo or even Istanbul... The current forecasts show that by 2050, 90% of the world’s largest cities will be exposed to rising seas. The vast majority of coastal cities will be impacted by coastal erosion and flooding, displacing millions of people, while destroying homes and infrastructure. 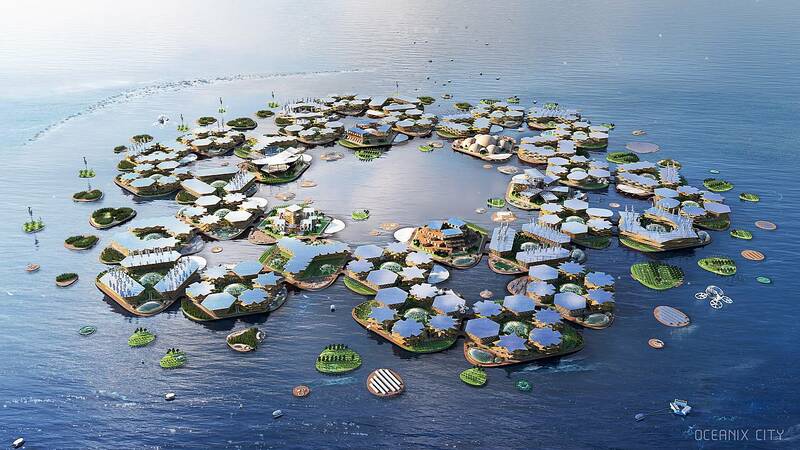 As the threat of climate change is looming, the United Nations has just acknowledged a concept of sustainable floating cities as a possible solution for urban areas in question. What used to be seen as a costly project for billionaires, this time has been presented by a group of architects and engineers as an affordable plan. Architecture firm BIG has designed the concept called Oceanix City, which has been unveiled this week at a round-table discussion at the United Nations's New York headquarters. The futuristic concept has been described to be entirely sustainable, while it is said to withstand floods, tsunamis, and category 5 hurricanes. According to the plans, six villages connect to form a city of 10,000 residents, helping populations threatened by extreme weather events and rising sea levels. Click on the video above to learn more about this futuristic city.